Discussion in 'Tasmania' started by melissa, Oct 18, 2015. 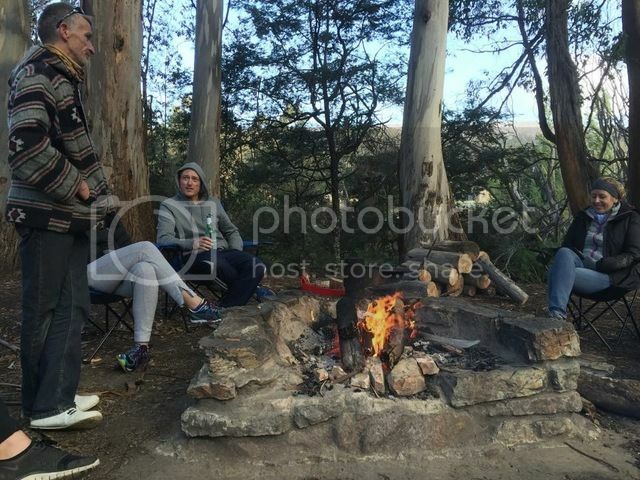 As part of our Triple Treat Trek, the Tassie crew got together for a night's camping at Mt Field. 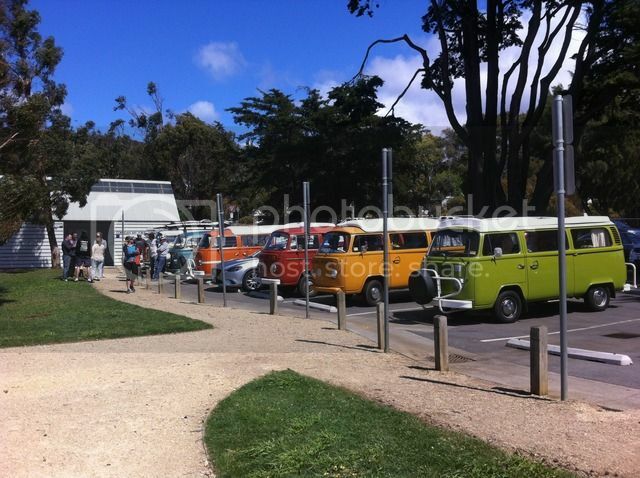 We met up at Cornelian Bay with 10 kombi's in attendance. We convoyed together to New Norfolk where Martin led us through Willow Court - what an amazing display of various models of cars with a winding road through it - not museum quality or anything - but really interesting. 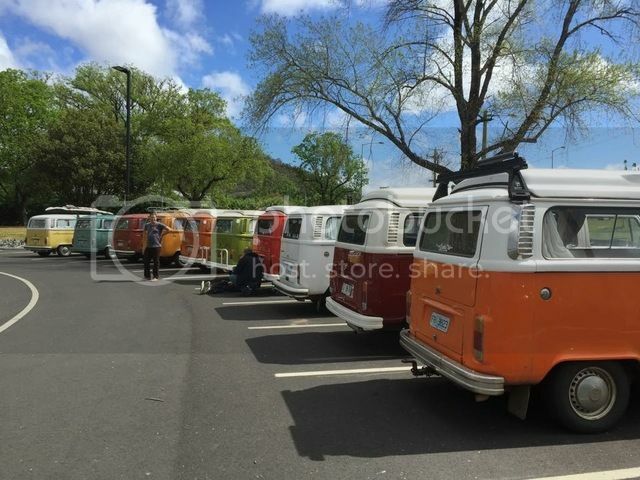 We stopped at Woolies to get some food and supplies, then we set off. The campsite is in a National Park and is so lovely. An easy walk up to the Falls and then at night, another walk up that path to see the glo worms. Powered sites for $20 a night and the showers were nice and hot - only downside was the camp kitchen - it was very basic and the bbq took far too long to heat up - or maybe that was because the freezing wind was howling through! The wind was incredible - we had a campfire that helped but the smoke in the eyes was tiring. Thank you to everyone who attended and I hope you all had as much fun as us - it was lovely to meet you all and hope we cross paths again one day. Thanks to Karina and Adrian for rallying the troops (and Karina for these photos). 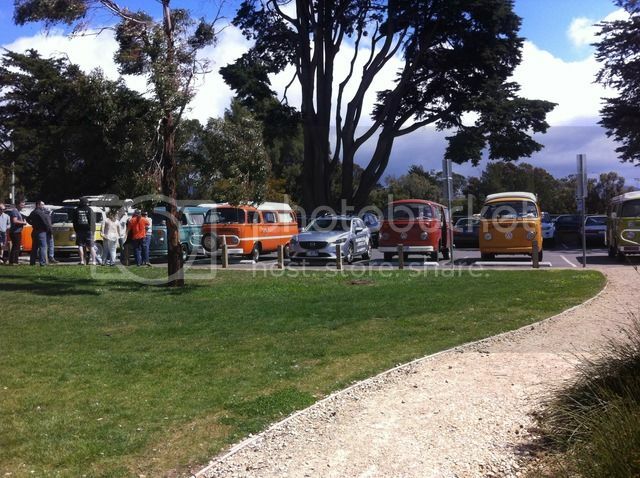 Syncro27, garlo, kombiwomble and 2 others like this. 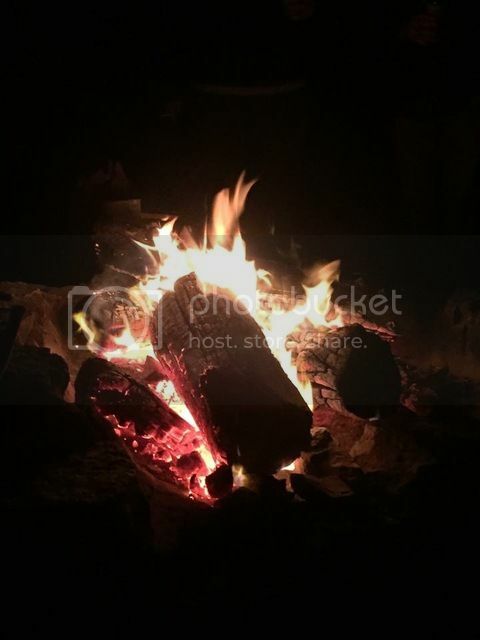 The fire was the saving grace for us as it kept us warm with ease, thanks to my cousin Nigel who came to my assistance with a chainsaw and a tour of his private hydro powerstation for Alpal, Carol and Peter., after I left the bag of wood at home. A fantastic trip all round and such a treat for us to have some of our mainland people experience our version of camping in our home state. Looking forward to some more of you making the trip across the water. melissa, kombiwomble and Ninga like this. 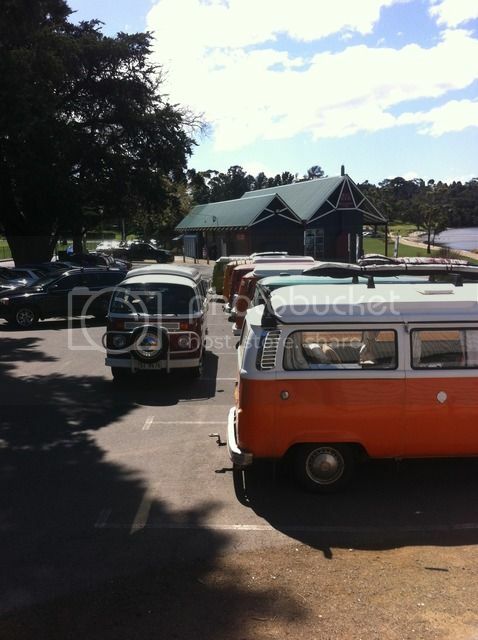 Kombis, camp fire, friends (old and new) and some beverages - a great weekend. Luckily the wind blew itself out and revealed a stunning sunny day for our dawdle home. 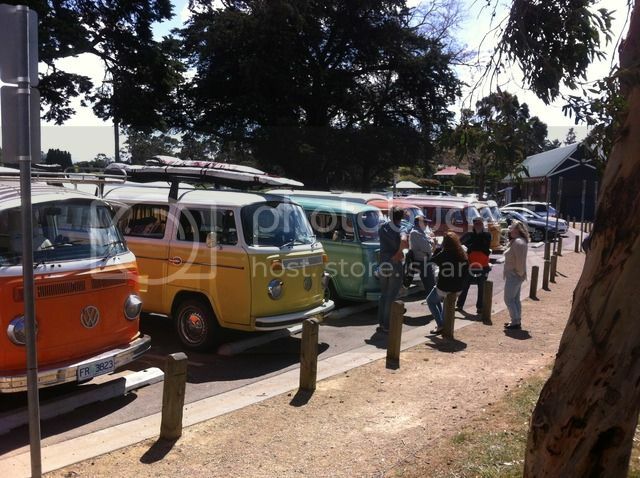 Great to see so many smiling faces and huge kombi waves along the way. We were quite a spectacle and were the talk of the town the next day - wherever we went people commented they had seen us. garlo, carazeee and melissa like this.